However, quickly I wake up to the harsh cold reality – for a 1 1/4 hour flight, do I need priority luggage (we are planning on doing carry on only); do I need lounge access (hold Air NZ membership card which is an affiliated Airline, so get access); do I need food from a Luke Mangan designed menu (had to google that); do I need access to movies and Tv (books, check, iPad, check) and do I require leather seats (I ain’t got anything here… Really do I?). So what is the purpose of these emails? Is there really any saving? I have never done it, but I think back to the times I was offered an upgrade on budget airlines, and on reflection that wouldn’t have been a bad idea. And maybe, if I could get a deal, a long haul flight with Emrites or similar might be good. But for a flight just over an hour, on a mid level airline, is it really worth it? 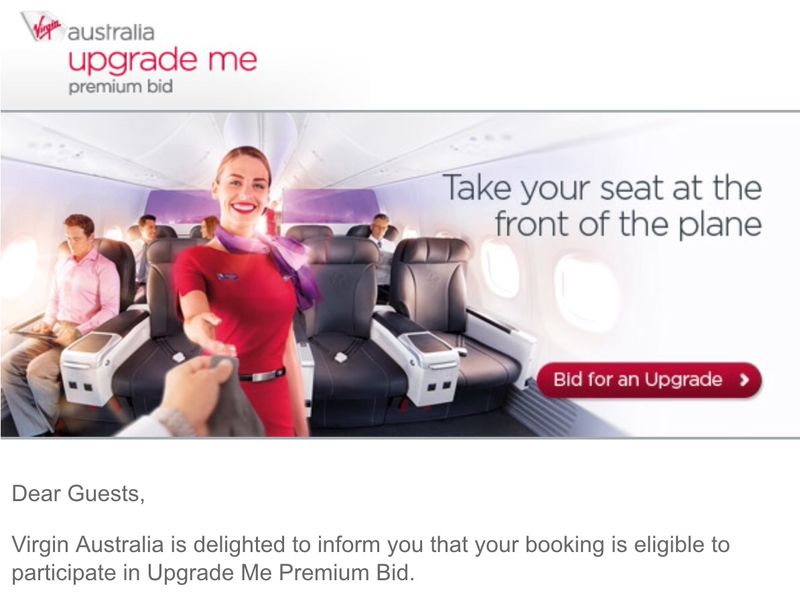 Posted on January 25, 2016 November 30, 2016 by thekiwiroamerPosted in Travel preparationTagged Bid for upgrade, Hobart, Luke Mangan, Premium, Priority Luggage, Upgrades, Virgin Air. Previous Previous post: Do I need cancellation Insurance?